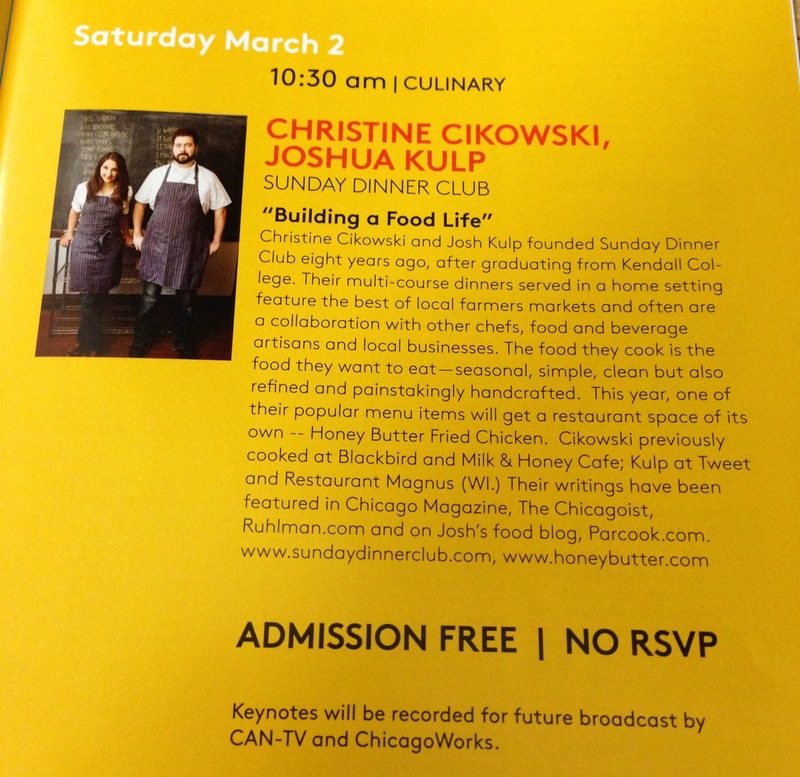 Christine Cikowski and Joshua Kulp, chefs and owners of Sunday Dinner Club, will discuss their “underground restaurant” during the Chicago Creative Expo. Their keynote will take place Saturday, March 2 at 10:30 a.m. If you can’t make it, the keynote will be taped for future airing by Chicago Works and CAN-TV.